Project “Wonderrium” is seeking to establish long-term, successful and mutually beneficial business relationship. Internet shop of the fairytale developing toys (the original produc tion, resale). The starting up of the full-fledged TV program “Wonderrium” and selling it to the central channels of the Russian TV. “Wonderrium” project appealing for cooperation to arrange the children’s adventure grounds and to build the tree suspended houses which look quite intriguing and amazing to both infants and adults. Additional materials can be found at the site of the “Wonderrium” project. The “Wonderrium” project was hatchet in 2010. 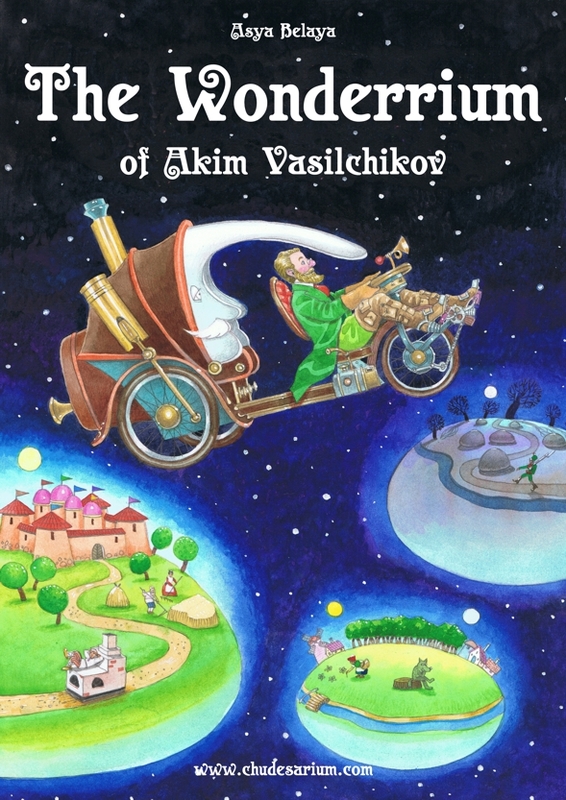 In 2011 there was founded the publishing house “Wonderful sings”, which published the book “The Wonderrium of Akim Vasilchikov”. To realize the idea there was involved an author, an illustrator, a corrector, imposer and a printing shop. The book was published solely thanks to the privet investors on the crowdfunding site www.boomstarter.ru, where the common people, the potential readers, vote for the future product with their money, demonstrating their keen interest in the project. In summer 2013 the Russian version of the book appeared on the shelf of the biggest wholesale operator Labirint, and by the end of the year there was a n English version available. The story goes back to the 19-th century, telling about one Russian family, based on the solid traditions, who knew the way of reaching the fairytale dimension to help the heroes of different tales. The prime mission of the household was timely repairing, cleaning and keeping fairytale accessories. And one day quite an unexpected thing happened. The whole Fairytale Universe appeared at hazard. The events went on, looking breathtaking and making both children and grown-ups really feel for our heroes. So happened, the whole family together with the Wonderrium found themselves in the current 21-st century, the city of Zelenograd, where a professor of electronics lived. So, their adventures went on in a real world. Thus, the book potentially reveals any of the already available and supposed to be written fairy tales, which is positive for its possible screening and producing a cartoon serial. Since 2010 the theatre troupe of the project has been holding children’s festivals based on the book. In 2012 by the construction department of the company there was erected the first tree suspended house in a picturesque spot of Moscow region, near the river Nerskaya. In the house you can find a garret with the fairy tale accessories, a wooden rainbow, a heavy cloud with rain, a manual running water and a running sand. In 2014 company build an adventure children’s ground “Wonderrium” within the area of the modern children’s cinema-camp Maksatihacamp. Since 2014 a group of modern interior designers has been working at the creation of the children’s zones. The federal TV offers the programmes, using the illustrations from the book “The Wonderrium of Akim Vasilchikov”.